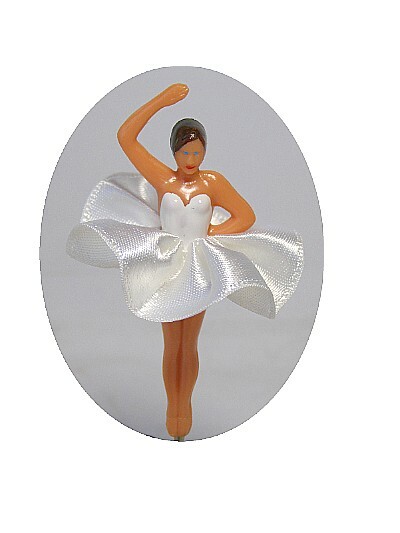 This is a deluxe music box ballerina figurine. An ideal replacement for the lost or broken music box figure. The ballerina is in a moulded plastic material with a white silk-like material skirt and painted bodice. Her hair is dark brown.